Amazing news!!! Beloved and definitely real public-access children’s show “The Garbage Sisters’ Magical Neighbourhood” is coming to the prestigious Little Mountain Gallery stage for an exclusive live taping Novmber 30! And you’re VERY MUCH INVITED!! Join the world-famous Garbage Sisters for a brand new night of comedy, featuring their signature garbage-themed lessons about life and love, interpersonal drama (also garbage-themed) and musical numbers. 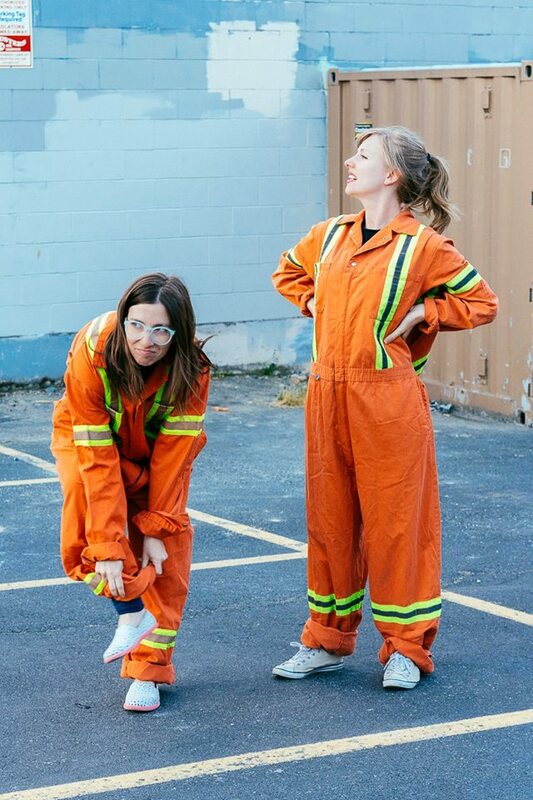 It’s a night of edu-tainment, trash talk and XXL orange jumpsuits, plus guest appearances by some of the Garbage Sisters’ very best friends and neighbours. Written by and starring the Garbage Sisters: Denea Campbell & Stacey McLachlan. Please do not bring real children.